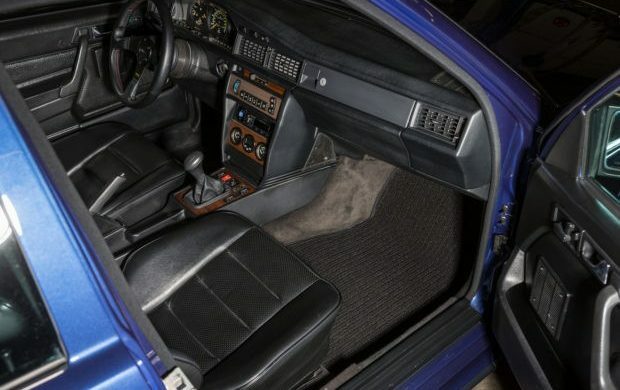 This listing ends within a few hours, so you’ll have to make moves if you wish to bid on this unusual 1986 Mercedes-Benz 190E 2.3-16. As most of you know by now, this is the exact model of my latest project, a rescue from a Pennsylvania junkyard that we’ve been documenting on Barn Finds. Someday, I hope mine is as mechanically sorted as this one, but one thing I know it will never be: painted any color other than the two offered by the factory. 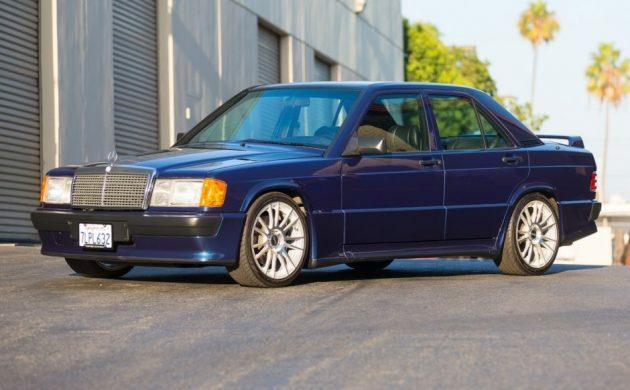 Find this modified 190E 2.3-16 here on Bring A Trailer with bidding at $13,000. That’s not to say a repaint in non-original colors is against the rules; hardly. The trouble is the 190E 2.3-16, otherwise known as a Cosworth, was only offered in two colors: smoke silver and pearl black. Enthusiasts around the world recognize the car, in part, due to its extremely limited color palette. It’s hard to imagine a genuine Cosworth in any other shade. My car will require a full repaint (someday) and it’s going right back to smoke silver. The aftermarket wheels aren’t exactly fitting for a car that came stock with a very conservative wheel design. 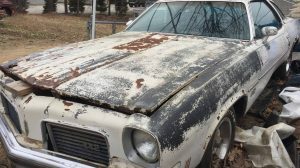 The seller discloses that the repaint was prompted by a deer strike, resulting in damage to the front end. This further complicates this 190E’s story, as it’s a collectible car with three very big dings against it: accident / insurance claim history; obvious modifications; and non-factory paint. 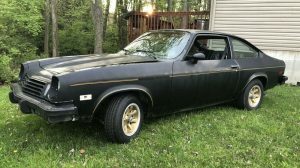 If one of those were removed, it would make the car an easier sell to a purist who only has to plan for a repaint, or reverting to stock wheels and suspension. This will require additional heavy-lifting to go back to stock form if the next owner wishes to do so. 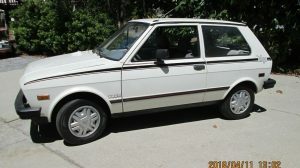 Also worth noting is the incorrect headlights, which are a later design and not the correct housings specific to the 1986 models. 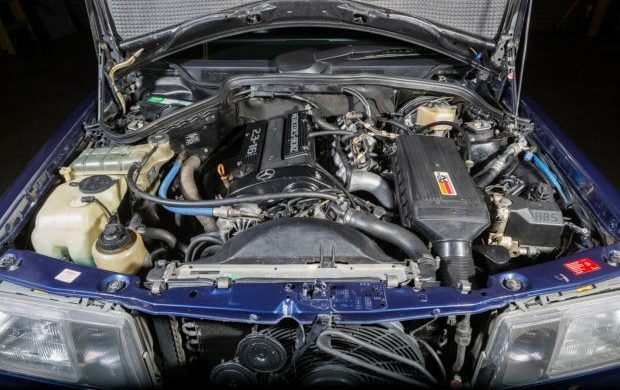 As the Cosworth rises in popularity and collectability due to the E30 M3 being out of reach for many enthusiasts, this car will still provide someone with plenty of good years as the maintenance history file seems robust. However, I wouldn’t pay close to what top-shelf Cosworths are generating, as you’ll never get it out of a car that has some many obvious departures from stock condition in its history file. Thanks to Barn Finds reader J Liu for the find. Every time I see one I regret not buying one when they were cheap. Man that’s fly.Belongs in a Rap video………..
Good eyes Jeff! I had already picked it apart myself before I read your blog! Nice one tho! 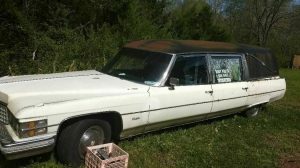 These are special cars, if I were to purchase it, I would first find out how much of it is original then if I had a project going on that needs parts I would consider a bid! For part only tho!